This match get as e be sha. 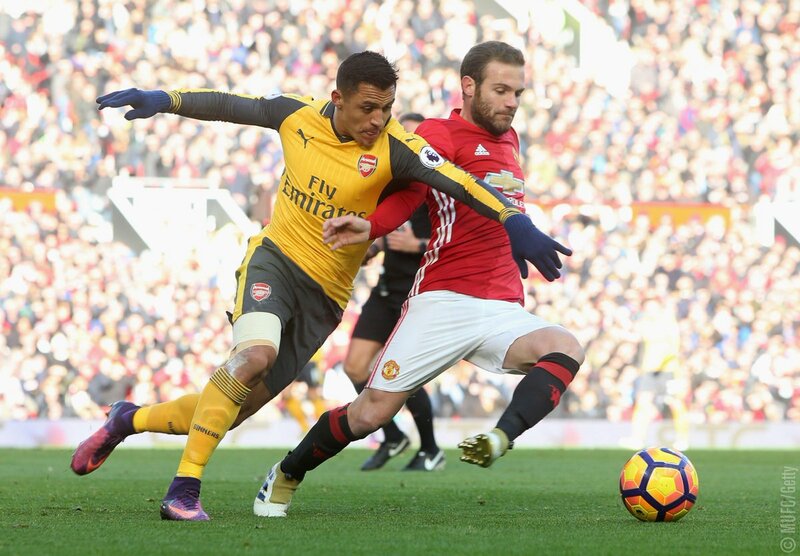 Before e start, everybody think say Arsenal go walkover Manchester United but as Ref blow whistle, na the Red Devils play pass for the game. 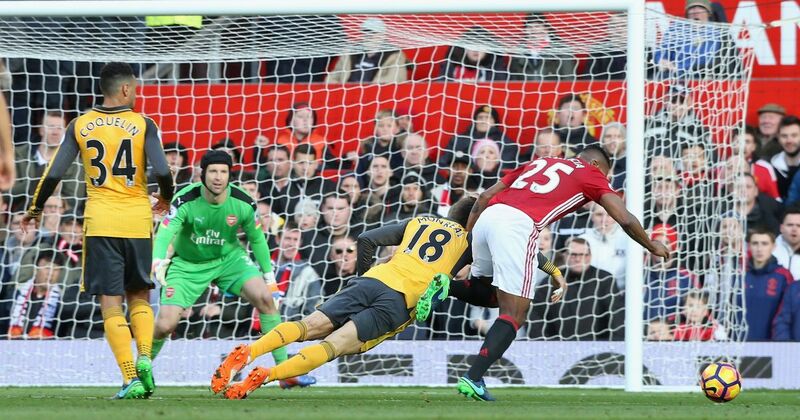 The match bin end 1-1, the person wey score for United na Juan Mata, while na Olivier Giroud score for Arsenal. Na big blow for United’s title ambition this season, if things no change soon, e mean say Jose Mourinho go change hin aims this season and hin team go begin fight for Top four, instead of the title. The first thing wey we observe for the match na say Paul Pogba, Ander Herrera, and Michael Carrick control the whole game sote Arsenal no see anything play. Dem chook Alexis Sanchez and Ozil inside pocket. Na only one attempt on target wey Arsenal see for the match, and na wetin dem use score. The second thing wey we observe for the match na say Jose Mourinho don lose hin ‘Special One title’.. Apart from Wayne Rooney wey e put inside match, the other subs wey Manchester United make no too impact match like that. The worst one na when e commot Juan Mata and e replace am with Schneiderlin… Schneiderlin no do anything at all for the match, e just dey gallop up and down. E no sure me say hin leg touch ball self. The third thing wey we observe na say Marcus Rashford don lose hin chance to impress Mourinho as a striker. E no even worry Cech today as Arsenal defenders bin deal with am. E sure me say when Zlatan Ibrahimovic come back, Rashford go warm bench or e go play for Left-Wing. The fourth thing wey we observe na say Phil Jones and Marcos Rojo try today. The only error wey dem do, na when dem allow make Girroud see free header but person no fit blame them as the way Girroud take jump ehn, nobody fit catch am. Other than that, them two try wella. dem put body for ball. Dem dey very solid. Maybe na because Carrick sit infront of them. The last thing wey we observe for the match na say Jose Mourinho’s beef with Henrikh Mkhitaryan don continue as the Special One leave the Armenian international out of hin match-day squad again. Many fans dey vess ontop the matter.